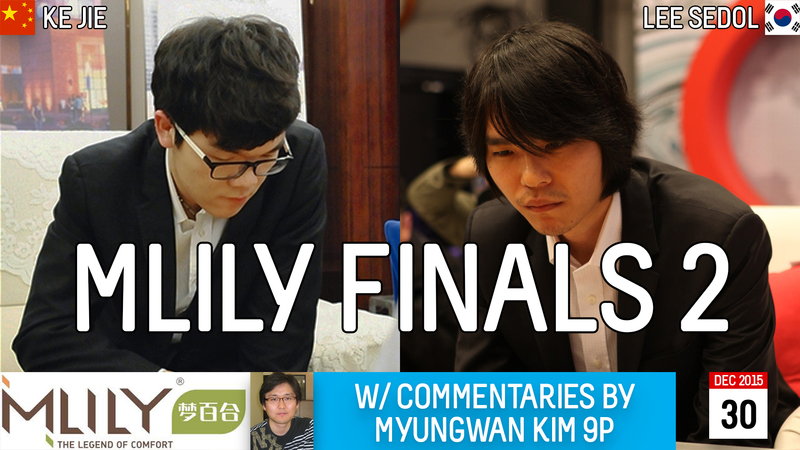 The AGA’ live game commentary on the MLily Cup finals between Lee Sedol 9P and Ke Jie 9P will begin with Game 2 on Wednesday, December 30, not Tuesday 12/29 as previously announced. Myungwan Kim 9Ps commentary will begin at 9pm PST (midnight EST) on the AGA’s YouTube channel. 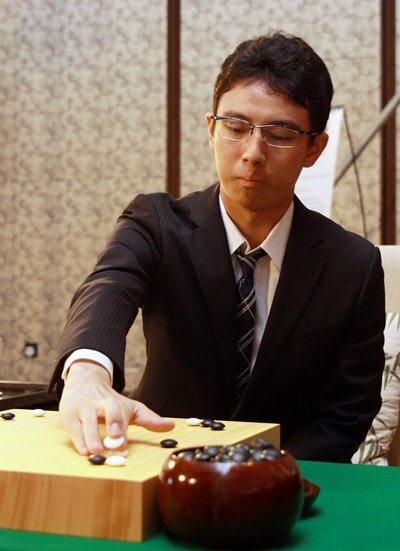 Ke Jie 9p (right) won the 2015 Samsung Cup by defeating Shi Yue 9p 2-0. The Samsung final was held on December 8-9 in Shanghai, China. 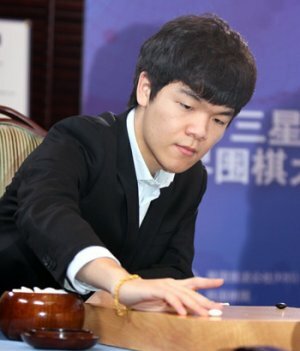 This was Ke Jie’s second international title — his first was the Bailing Cup in January, 2015 — and this was the first time since 2011 that a player has won two international titles in the same calendar year (Lee Sedol 9p won the BC Card Cup and Chunlan Cup in 2011). Ke Jie’s Samsung win also made him the first of the new generation of young Chinese world champions to win a second international title. He’s undefeated on white this year and his games in the Samsung semifinals against Lee Sedol, and the final against Shi Yue, were wonderful and faultless. - excerpted from Youngil An’s report on Go Game Guru, where you’ll find An’s commentaries on both games and more photos. Go players wishing to participate in the 20th Pandanet Cup Internet World Amateur Go Tournament have until next Wednesday, December 9 to register. All games must be played on the Pandanet server. As in previous years, the registrants are divided into three regions, and in each region further divided into several ranking bands. Winners in each band will receive prizes. 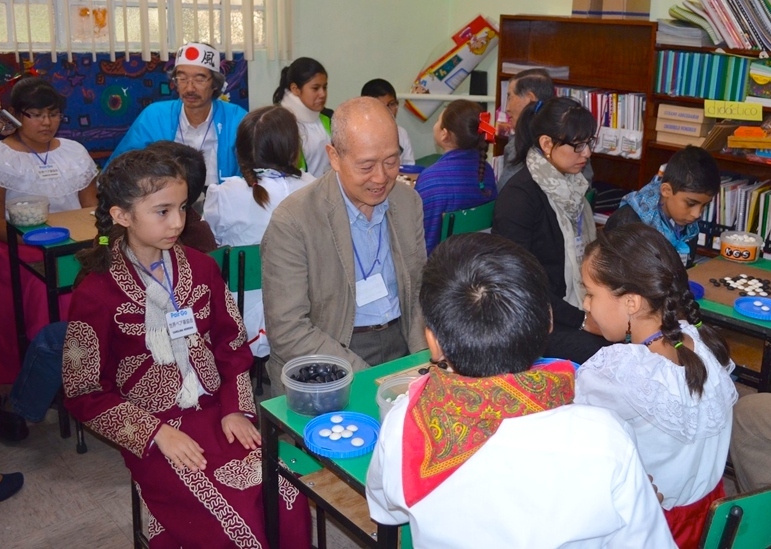 In the preliminary round, players play with others in the same band and in the same region. Regional winners then move on to play in the international final rounds. 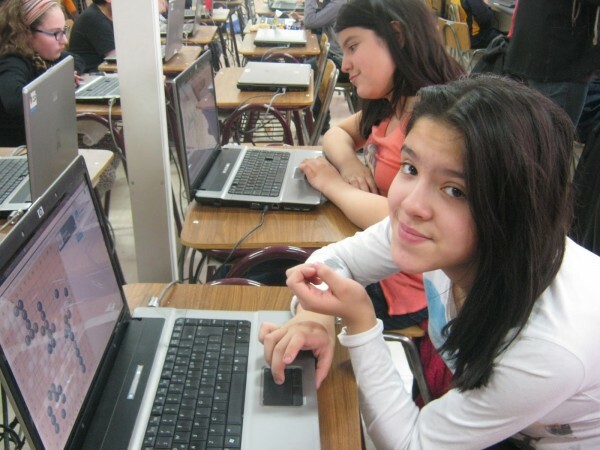 This online tournament is supported by International Go Federation and organized by Pandanet. The preliminary rounds will be played December 18 through January 11. Note: Follow us on Facebook and Twitter to get these updates in real time! The 20th Pandanet Internet World Amateur Go Tournament (IWAG) is currently accepting registrations. The deadline is December 9. All games must be played on the Pandanet server. As in previous years, the registrants are divided into three regions, and in each region further divided into several ranking bands. Winners in each band will receive prizes. In the preliminary round, players play with others in the same band and in the same region. Regional winners then move on to play in the international final rounds. Click here for further details.